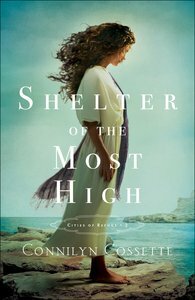 About "Shelter of the Most High (#02 in Cities Of Refuge Series)"
Connilyn Cossette is a homeschooling mother of two with a passion for writing stories of timeless grace. She hopes to draw readers into a personal encounter with the rich ancient world of the Bible and spark curiosity that will lead to digging deeper into the truth of the Word. Her novel "Counted With the Stars" won the 2013 Frasier Contest and was a semi-finalist in the 2013 ACFW Genesis Contest. She lives near Dallas, Texas. Connect with her at www.connilyncossette.com. Customer Reviews For "Shelter of the Most High (#02 in Cities Of Refuge Series)"